Michael Brown has been appointed Port Vale's permanent manager, the club have announced. Brown, 40, took over as caretaker boss in December following the resignation of Bruno Ribeiro, but failed to save the club from relegation to Sky Bet League Two. 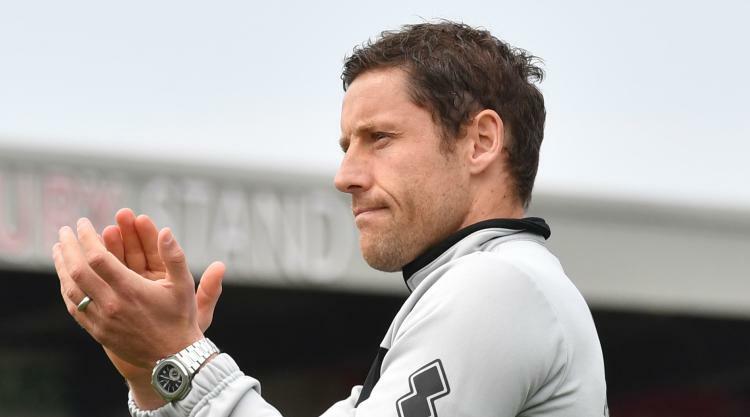 "Port Vale Football Club are pleased to announce the permanent appointment of Michael Brown as first-team manager with immediate effect," the club said in a statement on their official website. Vale chief executive Colin Garlick said: "The appointment of a manager is in my opinion the single most important decision that a club ever makes. "We believe that it is important for us, at this time, to confirm Michael's appointment along with his backroom staff to allow them the maximum time to prepare for the new season. Former Sheffield United, Tottenham and Leeds midfielder Brown joined Vale as a player on a one-year contract in July 2014 and was also appointed reserve-team coach. He was made assistant manager when Ribeiro was appointed manager in June last year and was placed in temporary charge the following December when the latter resigned.